In 2007, the Bourbon Dolphin capsized with the loss of eight crew members. The final Royal Commission report led to the implementation of new procedures and recommendations. 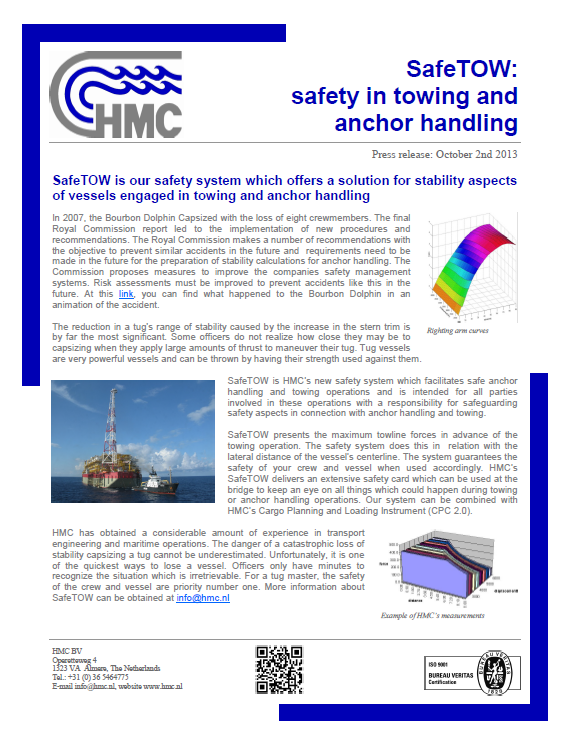 HMC’s SafeTOW is our safety system which offers a solution for stability aspects of vessels engaged in towing and anchor handling operations. With our safety card you have the ability to keep an eye on the tug’s power and propulsion system during your operation. Usually operations must be carried out fast, particularly when a tug is anchor handling. propulsion system during your operation. Tug vessels can have power ratings up to 20.000 kw and are highly manoeuvrable. Dangerous situations can occur when tugs are not in line with the forces on their tow line or when the tug is swung beam onto the towline. This happens usually by excessively high tow tensions. This phenomenon is known as ‘girting’. These kind of accidents occur when the tow takes control of the tug. The tug can be towed sideways which might result in capsizing. 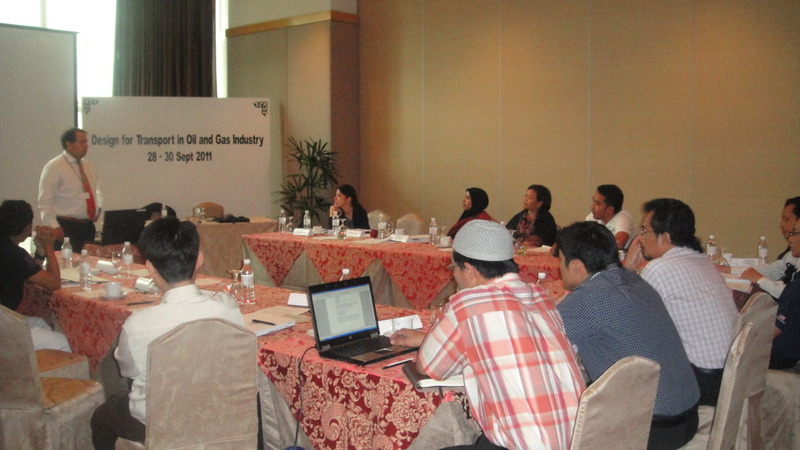 ..solution for stability aspects of vessels.. The stability range of a tug when towing or anchor handling can only be judged from its GZ curve. 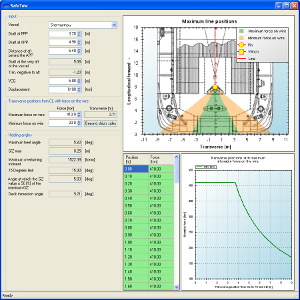 The reduction in a tug’s range of stability caused by the increase in the stern trim is by far the most significant. Some officers do not fully realise how close they may be to capsizing when they apply large amounts of thrust to manoeuvre their tug. Tug vessels are powerful vessels but can be thrown by having his strength used against him. Due to stability requirements, the overturning moment generated by the tension on the tow wire cannot exceed a certain limit. Therefore, the SWL (Safety Working Load) of the tow wire can be applied safely. For example, the SWL is only applicable when the tow wire is within the limits of the green lines. 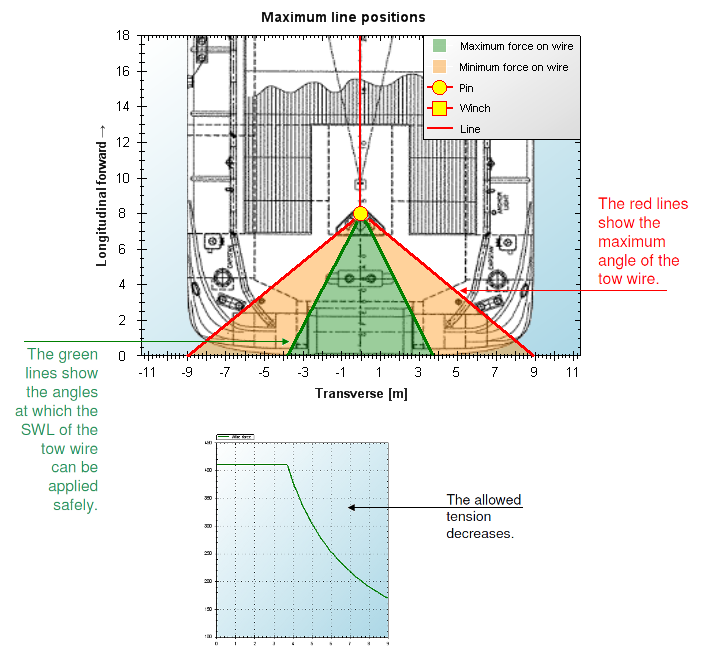 From the green limit, the allowed tension that the tug can withstand is decreasing. 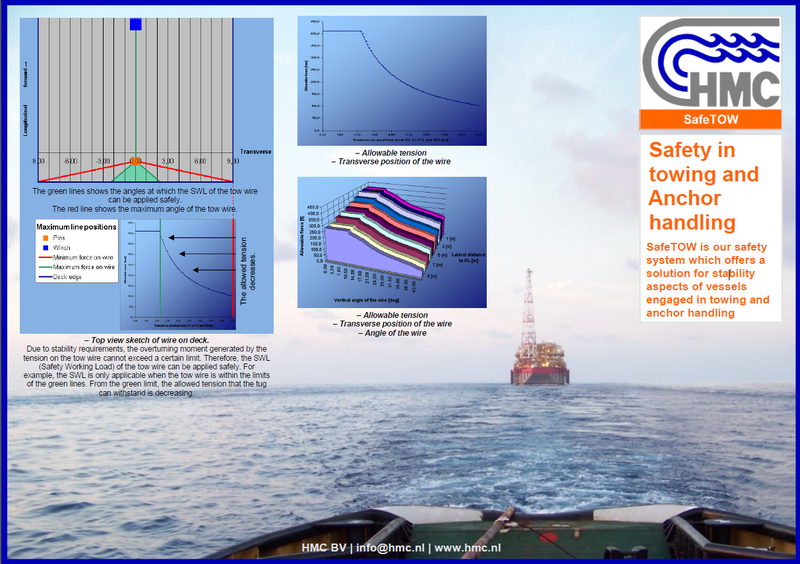 HMC’s SafeTOW safety card can be used at the bridge to keep an eye on things which could happen during towing or anchor handling operations. In advance we present all our measurements about your towing operation and assess the current towline force in relation with the lateral distance of the vessel’s centreline which guarantee the safety of the vessel and the crew. At the moment we are working on the implementation of SafeTOW in HMC’s Loading Instrument CPC. These combined HMC products ensure the safety of the vessel and crew. HMC has collected a considerable amount of experience in transport engineering and maritime operations. Through our past experiences HMC developed SafeTOW. The danger of a catastrophic loss of stability capsizing the tug cannot be underestimated. unfortunately it is one of the quickest ways to lose a vessel. Officers only have minutes to recognise the situation which then is becoming irretrievable.